As summer draws on, we find ourselves getting closer to another Gonerfest. We’ve got a lotta love for Memphis (especially the dudes at Goner), and each year they put on one of the best weekend festivals around. Celebrating the festival’s tenth anniversary, you can be sure this year will be no different. Zach, Eric, and Co. are pulling out the big guns this time around with headliners Mudhoney and the Cosmic Psychos, but we’re especially excited for Michigan heartthrobs Human Eye and Tyvek, and Tennessee favorites Viva L’American Deathray Music, Cheap Time, and Ex-Cult. 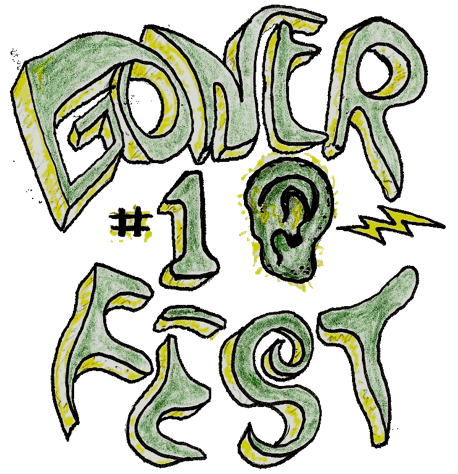 Tickets just went on sale this week, so lay your money down at the Gonerfest site to secure your place at the party.